plots. 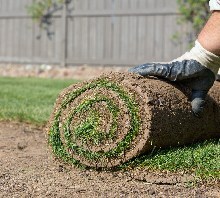 Our turfs team operates will provide our customers with full turf installation from scratch. We will visit your plot, listen to your installation specifications and will get your work done on a given time frame. We give the best of turfs on the market, which will leave you with comfort and confidence to show off your plot and make it occasion ready not only that it will also increase your property value..